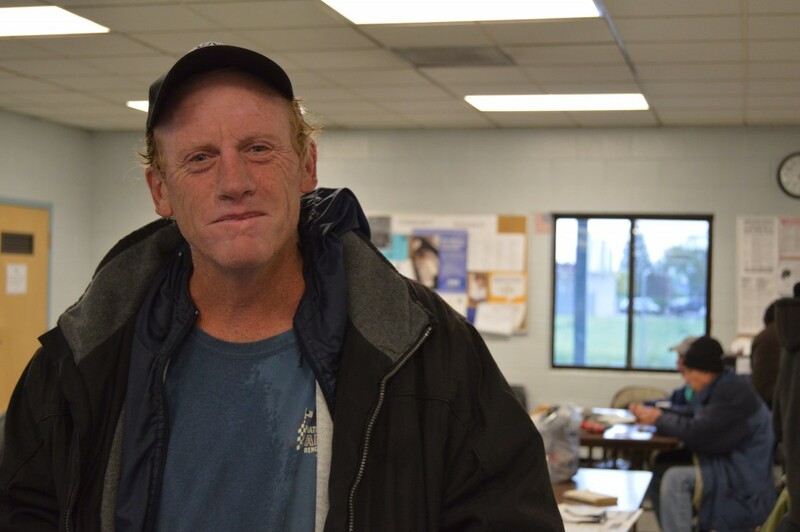 On a cold and rainy May morning, John Clemens, 51, arrives at the state day labor office on Galletti Way in Sparks. It is 6 a.m. It could be hours before he gets a job for the day, if he gets one at all. When workers arrive at the day labor office each morning, they draw a number from a box. That number will determine the order in which they are hired. Since April of last year, the Galletti branch of the state office has found work for 3,731 people out of the 7,524 who have registered with them, a placement rate of 49.5%. The day labor office is funded with money provided through the Federal Workforce Investment Act. These funds are administered through the Nevada Department of Employment, Training and Rehabilitation. 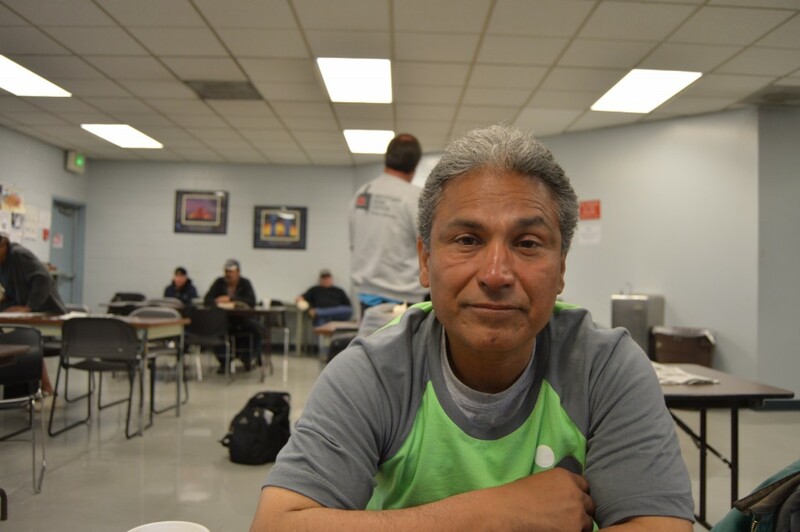 When Zeke Luna, 53, was released from prison two years ago, he went to the Salvation Army where he enrolled in a rehabilitation program for alcoholics and narcotic abusers. He also started looking for work through the day labor office. “This is where everybody comes, has a cup of coffee, sits down and you try to be patient,” said Luna. Waiting for work at the day labor office has its advantages. 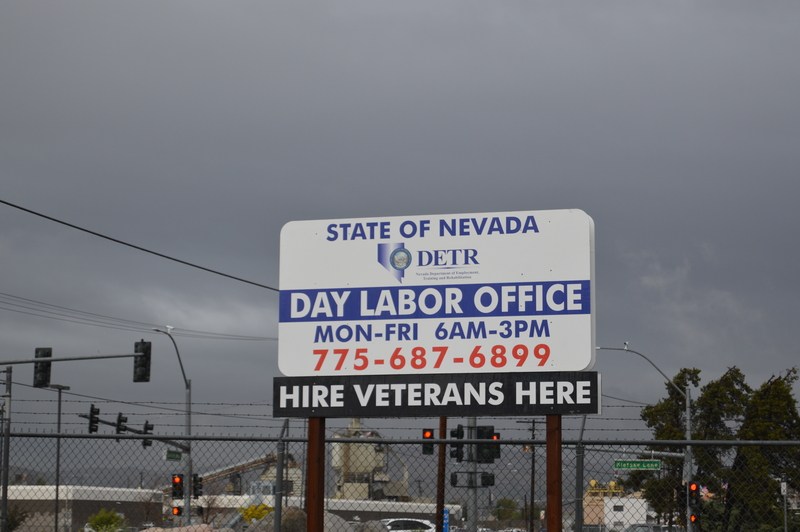 As the rain falls in the 40 degree air outside, laborers across the street, on the Reno side of Galletti, who offer their services independent of the day labor office, must battle the elements. Meanwhile, Luna and others can have their cup of coffee and watch television. That’s not to say they’ve never crossed the street. Clemens is a former truck driver who suffered a stroke several years ago. Since the stroke, he says day labor jobs are the only work he has been able to consistently do. There is a sense of camaraderie between him and his fellow workers that seems to transcend competition and self-interest. When he crosses the street to offer his services independently, Clemens tries to talk to the workers there about the day labor office. So far, they have been less than receptive. 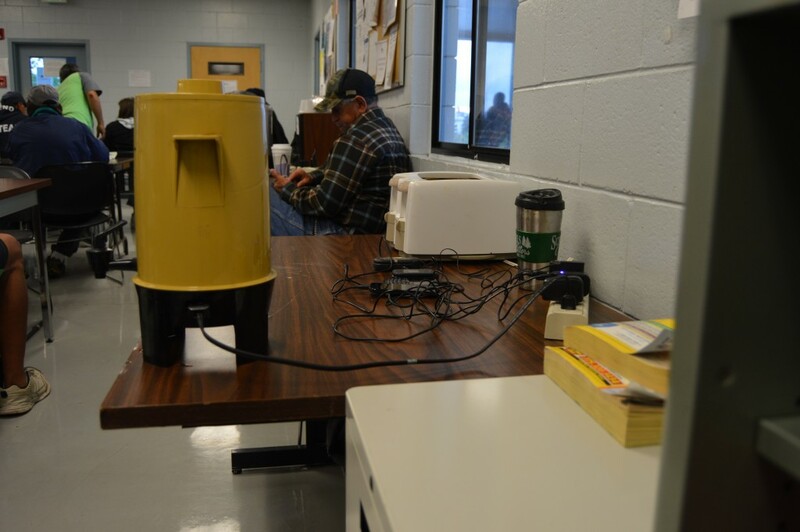 Day labor office staff routinely attend homeless advocacy meetings, work with agencies who assist the homeless, and attend rotary meetings and community events to advertise the services and advantages of using their office. Aside from the aforementioned climate control, coffee and television, other advantages include guaranteed pay and worker protection. Any employer who hires a day laborer through the office agrees to pay a specific amount for the work being offered. If they try to pay less, the office provides workers recourse to get the full amount. This can include referring them to the state labor commissioner. If workers are mistreated by an employer, the office will investigate and will blacklist anyone found to be guilty of abuses. Richard Whitaker, 83, has been hiring people through the day labor office for about 20 years, employing people to do electrical work, yard work, and carpentry around his home. He has found the experience to be rewarding both for him and the people he has employed. Whitaker typically pays $10 an hour, which aligns with the average pay offered by employers. 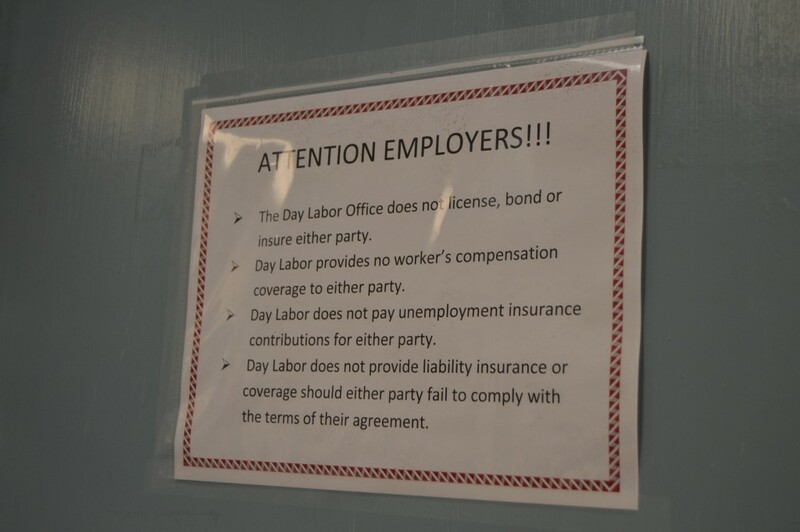 A sign adorning the exit to the Day Labor Office informs employers of their rights and liabilities. – Photo by Michael Olinger. As Clemens waits for his name or number to be called, an announcement goes out over the loud speaker calling someone to the office. It is not Clemens. 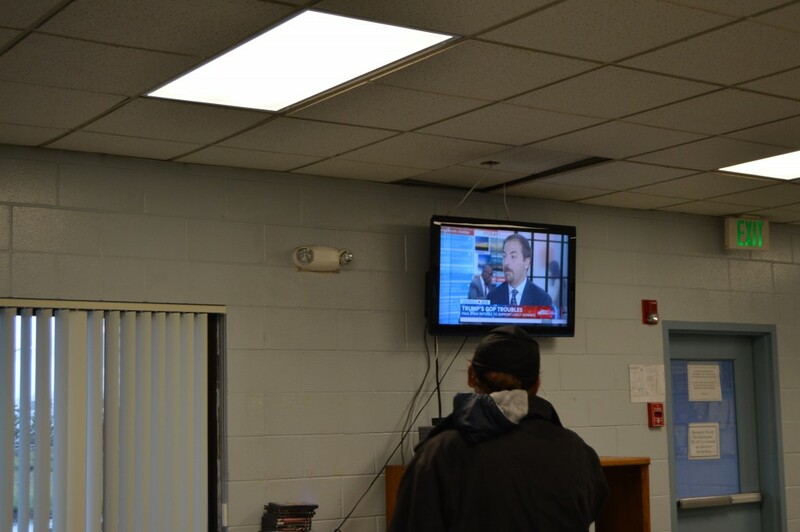 He turns his attention back to the television at the front of the room. Donald Trump and Hilary Clinton are attacking each other on the Today Show. Someone sitting by the TV loudly says “When are those two just going to get married, already?” A laugh ripples through the room. when are you going to start hireing people again. i’m thinking of going that way in spring. i worked there one yesr a go, and want to work with you again. I like working there.